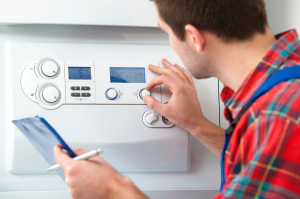 Could you be entitled to a grant to replace your LPG boiler? Could you be entitled to a FREE grant to replace your LPG boiler? We are unable to accept grant applications for LPG boilers at the moment, however you may still be eligible for funding elsewhere. The UK government is offering free LPG boiler grants to help low income households replace their broken or inefficient boiler. Why? It’s all down to the Energy Company Obligation, or ECO scheme. 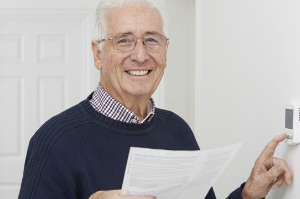 Originally introduced in 2013, the ECO scheme legally obliges the UK’s biggest energy suppliers like British Gas and EDF to help low income households to improve their energy efficiency and lower the cost of heating their homes. This help comes in the form of free grants for those who meet certain eligibility criteria. These grants could be to replace a gas, oil or LPG boiler, electric storage heaters or to improve a home’s insulation. The grant you receive will cover some if not all of the cost of replacing your boiler. Even if the grant doesn’t cover the entire cost of a new boiler it should make a significant contribution and, because of the improved efficiency, it will save you a significant amount of money on heating bills going forwards. LPG stands for Liquid Petroleum Gas and, for homes not connected to the gas network, they are a popular alternative to oil fired boilers. LPG needs to be delivered to your home and stored in a tank. LPG is more costly per unit when compared to gas or oil but produces around 20% less C02 per kwh than heating oil and the an LPG boiler unit is generally less expensive than an oil boiler. Several of the industry’s leading manufacturers produce LPG boilers including Worcester Bosch, Vaillant, Baxi Alpha, Glow-worm, Veissmann and Potterton. 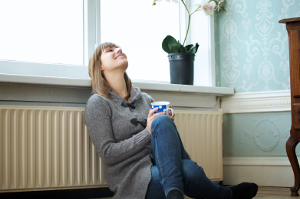 Could you be eligible for an LPG boiler grant? It couldn’t be easier to find out if you’re eligible for an LPG boiler grant. Simply fill in our form and find out if you could qualify. You need to be either a homeowner or a private tenant with your landlord’s permission with permanent residence in England, Scotland or Wales (Northern Ireland operates a separate grant to replace your boiler). You will also need to be in receipt of certain benefits and have a boiler that is at least 8 years old or is not working.